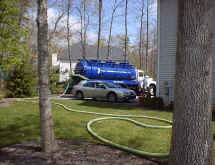 609.298.8838 New Jersey's Septic Experts since 1983. State Environmental Services provides responsible, reliable non-hazardous wastewater transportation and disposal, engineering and solid waste disposal services for residential and commercial customers throughout New Jersey. Our commitment to our customers has made us the number one choice since 1983. © State Environmental Services, Inc.